Overview... an ex-con tentatively trying to make a new life. Once a wealthy and affluent family man, Johnny's suburban world was turned upside down when he went away to prison. When he is released, he's left no other option but to join a Greek restaurant as a short-order cook. However, it's quickly clear that Johnny has a lot more sophistication than meets the eye; he carries around a small library of classic literature and is known to pull direct quotes. Personality... nice, charming, and smart, but a little lonely. As he puts it, "I want to kill myself sometimes when I think that I'm the only person in the world and that part of me that feels that way is trapped inside this body, that only bumps into other bodies, without ever connecting to the only other person in the world trapped inside of them." 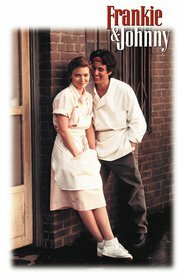 When he first meets the waitress Frankie, he's immediately smitten with her, as the two bond over helping a man recover from a seizure. She turns him down at first, but will the two end up hitting it off? Johnny's popularity ranking on CharacTour is #4474 out of 5,000+ characters. See our top-ranked characters and read their profiles.